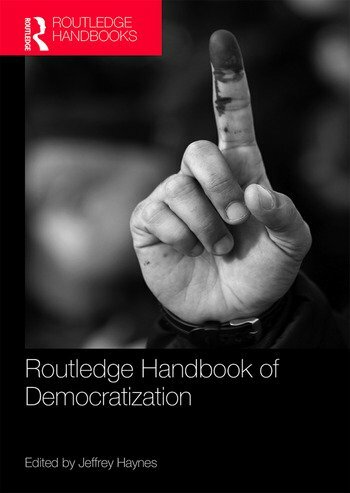 This exciting new handbook provides a global overview of the process of democratization, offering chapter by chapter discussion at both the country and regional levels and examining the interaction between the domestic and external factors that affect the progression of countries from authoritarian to democratic rule. Bringing together 29 key experts in the field, the work is designed to contrast the processes and outcomes of democratic reform in a wide range of different societies, evaluating the influence of factors such as religion, economic development, and financial resources. Section IV Examines the interaction between democratisation and development with a focus on poverty and inequality, security, human rights, gender, war, and conflict resolution. A comprehensive survey of democratization across the world, this work will be essential reading for scholars and policy-makers alike. Jeffrey Haynes is Associate Dean, Faculty of Law, Governance and International Relations' at London Metropolitan University. He is the editor of the series Routledge Studies in Religion and Politics and co-editor of the journal Democratization. Recent publications include Routledge Handbook of Religion and Politics and Religion, Politics and International Relations: Selected Essays.